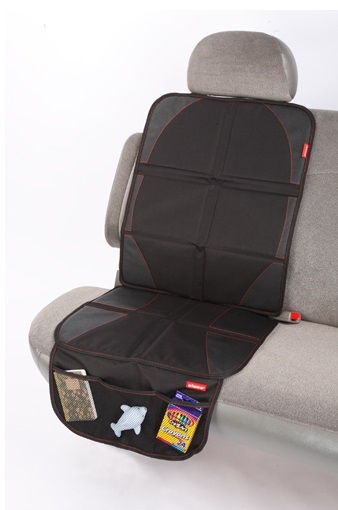 Protect your car upholstery against scratches and dents from a car seat with partitioned squares of high density foam. 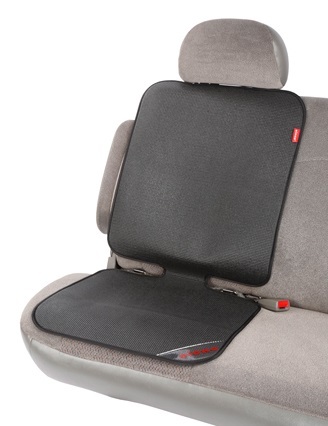 Top and bottom grip surfaces prevent car seat slip. Waterproof, washable fabric is easy to care for. 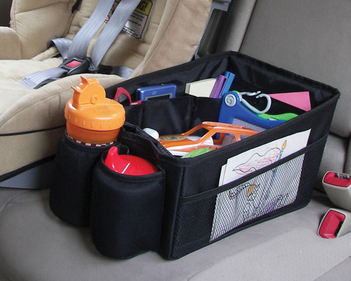 Fits all rear facing and front facing convertible car seats or booster seats.